Update update: for some reason, the order of which hard drives get boot up first got messed up. It's all working now, thankfully. The lesson learned, I still hate Kingston flash drives, and I will blame it until another culprit is found. 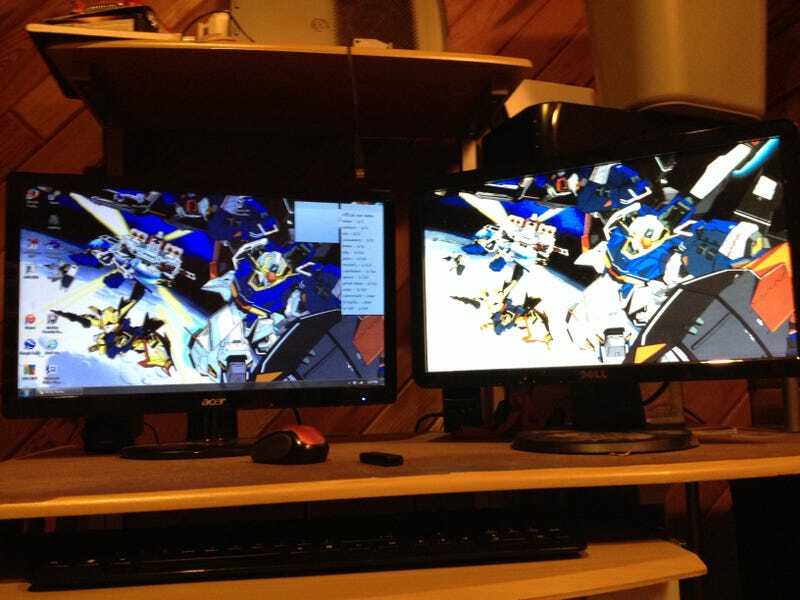 Came home, discovered that neither of my monitors work for my desktop. I plugged then into a laptop, it's not the monitor or the cords. So I'm now stumped. My wife says they were working fine earlier today. It wasn't until she plugged in her brother-in-laws flash drive did she discover the problem. She only went on 1 new site today, a crochet magazine site (for a contest). The desktop is about four years old, and it's a Gateway. Neither the graphics card nor the motherboard connections for the monitors work. I'm at a lost of words as to what may be wrong. Any ideas oppo?